Introducing the new and improved Beach Club! • Know the advantages of joining a club. • Join one "Best Match" Club, or browse from a list of recommended Clubs. Note: The "Best Match" Club is presented based on Clubs whose members play similarly to you! 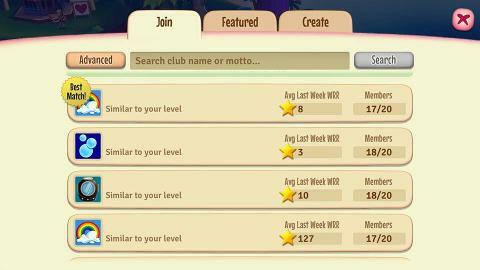 The recommended Clubs list gives you insight on how many members a Club has, the number of Weekly Resort Rating points they achieved in the past week, and a description of why they were recommended. 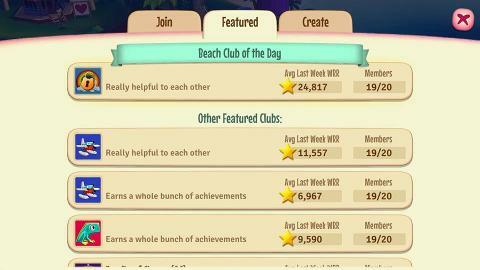 Note: Clubs whose members are of the same level as you, or those which has most of your Beach Buddies in it are more likely to show among the recommended Clubs. • Search for the best Club using an advanced set of filters. 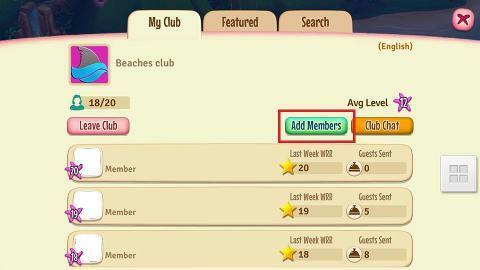 The new Search function has an "Advanced" button which you can use to look for Clubs based on the number of members they have, Average Level of members, Language, or if the Club is Public or Private. 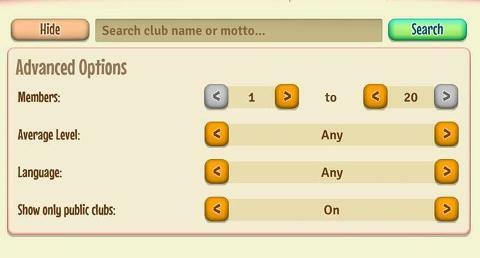 Easily specify your Club's requirement using the arrow buttons, instead of the slider. I've already joined a Beach Club, what's new to see? Are there any changes on the roles and privileges in the Club? Leaders, Moderators, and Members' privilege stays the same, except for the fact that all demoted members will now receive a pop-up informing them that their privileges have been taken away. From now on, all members can invite their Beach Buddies into the Club through the "Add Members" button from the Beach Club info tab. 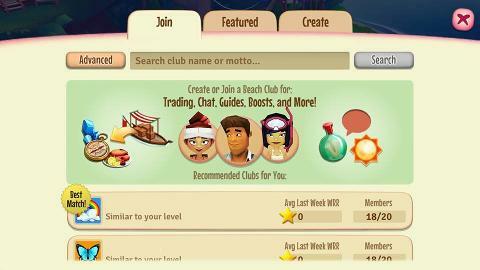 The new Beach Club will now allow you to view the Global and Beach Club Trading in a single tab. 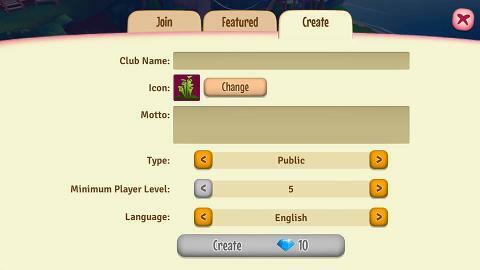 All you need to do is to toggle between the "Global" and "Buddies and Club" found on top. 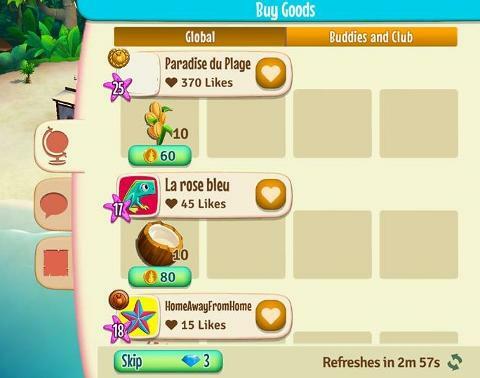 While Buddies and Club trading refreshes after you toggle to Global trading; items posted in the Global Market stays until the countdown clock turns zero. Another new feature is the Club's Message of the Day, which you can find in the Club's Chat. These Messages allow Leaders and Moderators alike to send their message across all members. They can welcome new members, share new tips, or impose new regulations on the Club through this feature.